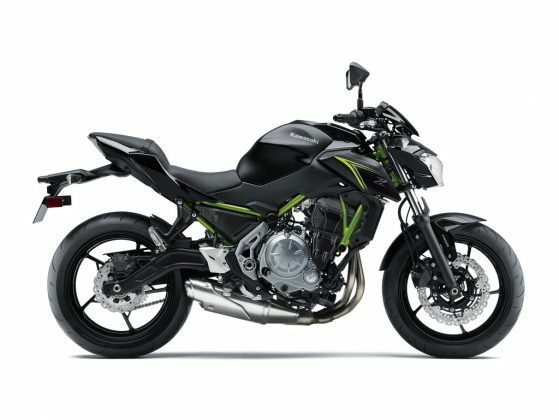 The 2018 Kawasaki’s Z Supernaked Series features a 650cc Parallel Twin engine with strong low-mid range torque and an all-new lightweight chassis in a slim, compact middleweight package that offers sugomi performance and styling. The Z650L’s nimble handling, superb feedback and strong acceleration are complemented by easy-to-manage power delivery and rider-friendly manoeuvrability, offering an ideal blend of sporty performance and everyday versatility sure to satisfy everyone from new to more experienced riders. Eyecatching Z styling reflects the sporty nature of this exciting new machine. This LAMS model is an ideal machine due to the smooth high torque power delivery, lightweight and easy handling with a low narrow seat height. Sugomi performance ensures that riding the Z650L is a treat for the senses. A responsive, torqueful engine character and nimble, lightweight chassis offer sporty riding excitement that new and more experienced riders alike will enjoy.